Since the 1st July 2013, it has been a legal requirement for manufacturers, distributors and importers of construction products for use within the EU to CE Mark their products. Furthermore, since the 1st July 2014, CE Marking became mandatory for all fabricated structural steelwork and is still a requirement after the result of the EU referendum (Brexit). It is therefore a legal requirement for all fabricated structural steelwork delivered to site to have been CE Marked. If you are fabricating structural steel products; whether this is steel frames, metal roofing or miscellaneous steel, and putting them on the internal market (European Single Market) – you must be CE certified. Trading Standards is the enforcement authority for non-compliance in England and Wales. They have the power to force companies to withdraw and/or recall products that do not comply. For certain offences the penalties may include a fine, imprisonment or both. To achieve CE certification, manufacturers will need to demonstrate compliance to the harmonised standard for structural steel and aluminium, BS EN 1090-1. The standard explains that all fabricated structural steel is safety critical and should be manufactured in a controlled manner. The manufacturer should therefore demonstrate compliance by implementing a Factory Production Control (FPC) system. A manufacturer’s FPC system will generally be based on a set of controls associated with one of four Execution Classes; Execution Class 1 is the least onerous and Execution Class 4 the most. The FPC system must be assessed by an independent 3rd party called a Notified Body – who will issue a Factory Production Control certificate and a Welding certificate once they are satisfied that it complies with the requirements of BS EN 1090-1. STRUMIS can assist steel fabricators in complying with the requirements of an FPC system by recording all of their manufacturing processes in the software, including traceability which is a key requirement in CE accreditation. STRUMIS is a complete fabrication management system that will help steelwork contractors gain CE Marking accreditation. It is already being used worldwide to improve standards and implement controlled procedures. Offering solutions for the complete project lifecycle from Estimating, Budgets and Procurement through to Stock Control, Production Tracking and Document Management – STRUMIS reduces costs whilst maximising productivity and increasing profitability. STRUMIS also offers an Essentials pack for SMEs – with all the features that smaller manufacturers need. After careful consideration of the many software solutions available to Jody it was “Essentials by STRUMIS” which Jody selected in the first instance. Essentials by STRUMIS is the lighter version of STRUMIS designed to help upcoming, small to medium enterprises and which at the time suited A & J Stead perfectly. However, as the business continued to grow Jody recognised the immediate benefits such software programs can delivery and it was this recognition of the improvements Essentials had delivered that he later decided to upgrade to the full STRUMIS software program which in turn delivered even more benefits to his company such as employee time recording through Production Console licences in his fabrication shop and even tracking the project status from the erection site by utilising the Production Console licences on tablets from site! Mr Stead has seen immediate benefits even in the first few days following the STRUMIS training program – carried out by our expert training engineer. 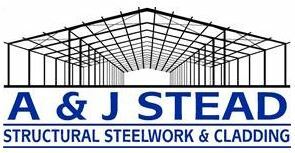 A & J Stead Ltd, a successful steel fabrication family business, based on the outskirts of the beautiful North Yorkshire town of Malton, have adopted the steel industry latest Management Information System – STRUMIS in order to help manage their growing business, eliminate manual data entry, provide traceability, increase efficiencies and ultimately improve profitability on their steelwork projects. The Middle Eastern market is still facing the effects of lower oil and gas prices. Not to mention the political conflicts within the region that continues to undermine the regional development, thus, hindering Steel Consumption. In this scenario, with cut throat competition, reduced profit margins and fewer projects, the Steel Fabricators are ever more concerned to save costs, effectively utilise their resources, win more projects and still maintain the profits to run their businesses. And yet the silver lining in this dark cloud is that fabricators are focused on improving their processes. This is where STRUMIS have been the source providing the tools to improve the efficiency of the fabrication process from estimating right up to dispatch and delivery. In this time and situation, it is great to see that steel fabricators are welcoming change and technology, not just in the fab shops but also in the mind-set of the owners, the directors, the managers and the employees doing the actual fabrication. One such fabricator was facing serious trouble due to the design and drafting errors resulting in heavy direct engineering design and drafting costs. The management conducted a thorough study and decided to go with STRUMIS and BIM Review to deal with the situation. With BIM review they were able to perform better analysis of situations through simulations. One typical example was running the analysis of a structure in BIM, they found the beams to be failing under the load conditions. This resulted in a change in the shape of the structure, for which the beams where changed. All this was done in BIM, without any movement of the actual material or processes. Imagine the same being done at the actual site. The time, money and labour that would have been involved under such situations are huge. When a general manager was asked what made him choose STRUMIS, his answer was that everyone in his organisation benefits from STRUMIS. And this can be proved by the fact that STRUMIS grows within an organisation with more employees wanting to use STRUMIS and hence there is a demand for more software licences from existing STRUMIS users. Starting from a certain key members who would be using the STRUMIS licence, the numbers grew from managers and estimators to machine operators, supervisors, foremen, site supervisors to their actual customers having been able to view the progress of fabrication at their end. With the new Business Intelligence dashboard, reports generation is at a glance. Every generation brings a new mind set to the steel fabrication industry, the heirs taking the baton from their fathers. Out of the companies small to medium scale fabricators are more receptive to technology and eager to evolve. With many opting to start small, these fabricators want to utilise technology to make way into the genre of bigger players. STRUMIS is keen to develop the interest shown by these fabricators and look forward to the opportunity to work with as many of them as possible. With contracts being awarded for the Soccer World cup in Qatar and the Expo2020 in UAE, STRUMIS is ready to provide its services and support to more fabricators from around the Middle East and help them to take their work a notch higher in terms of productivity, profitability and traceability. Irish-owned, Middle East-based Kelly Steel turned to STRUMIS when they decided the time was right to automate internal processes. Based in Ras Al Khaimah, Kelly Steel is perfectly situated to offer their services throughout the lucrative Middle East region. Now with over 20 years’ experience in the industry, they’ve become widely recognised for consistently delivering quality on projects of all sizes; their goal is always to meet and exceed expectations of both time and standard of work. Building on capacity over the years, Kelly Steel now boasts an advanced new factory, designed with large-scale production in mind. Kelly Steel in a joint Venture with a European Company based in the Netherlands have set up Kersten Middle East and offer 3D Pipe and beam Bending as a subcontractor service, making them the first and only company in the Middle East to do so. This unique capability stems from their wide-ranging experience and expertise with pipe work. They can now perform bending on all types of sections, including rolling for 50mm to 500mm pipe. What’s more they have the ability to create all types of profiles, holes and slots. One of their most exciting projects to date was Mushrif Park in Abu Dhabi, the largest amphitheatre in the world! This project involved separate scopes that included a 30m high conservatory building, the amphitheatre itself, souk market canopies and shade fabric. When a business is going from such strength to strength as Kelly Steel, all processes need to be tightened and ultimately automated where possible. In particular they needed their Purchasing, Inventory Control and Production Control to become more organised, functional and software-based in order to save both time and risk of errors. STRUMIS Management Information System software program, for steel fabricators, has without question become the default MIS system for steel fabricators in the ME region. With numerous blue chip steel fabricators of all sizes utilising STRUMIS in their businesses, in-turn, it is providing them significant cost and time saving benefits across all departments for our much valued clients. They were looking for software with the ability to process optimisation to reduce material costs and to provide transparency and traceability across all of their various projects. It was decided that steel fabrication management software STRUMIS was right for Kelly Steel, as it harnesses work processes through the steelwork contract between departments, suppliers and clients; from estimate tendering, through procurement and production into construction. Covering all requirements set out by Kelly Steel as well as offering more. The success of STRUMIS within the ME region is due to the maturity of such a well-respected, feature rich and established software program which continues to develop and grow in line with our clients’ needs, and is supported by a regional presence by way of our Dubai office in Deira which is essential to providing pre and post-sales support, training, support and account management. Kelly Steel Engineering LLC is a local UAE company with Irish ownership. Our location allows for easy access to ports and all the major highways for export. At Kelly Steel Engineering LLC we have the ability to provide a unique level of quality and customer service supported by over 20 years of experience in the industry. Within our current structure we have what we consider all the key players to deliver quality projects on time and on budget. Since its foundation, Kelly Steel Engineering LLC has steadily developed and increased in capacity. Over the years STRUMIS has gone through three generations of software in both Architecture and style using the very latest technologies available. The first generation of STRUMIS (known as GoData); helped lead the way in Management Information Systems designed solely for Structural Steel fabricators. In the late 90’s the GoData flagship product was re-designed and a Windows generation of the system was launched and re-branded as Visual STRUMIS. In 2004 STRUMIS was re-designed again using the new .NET framework and SQL Server as the back end data store. This generation of the software (known as STRUMIS.NET & STRUMIS evolution); gave the user a much richer graphical experience and the ability to customize reports and the daily use of the system. We are now currently in the process of designing the fourth generation of STRUMIS. Due to the demands of our customer base and the advances in mobile technology we need to expose STRUMIS to more devices (i.e. mobile, tablet, web browsers). To cater for this demand STRUMIS will be incorporating a Service Orientated Architecture which will communicate as Web service requests similar to most Web based applications that end users are increasingly more familiar with and expect with today’s technology. This shift in design will allow the core product and business rules to be maintained by STRUMIS whilst exposing external mobile & tablet App developers for IPad, Android, Windows and Web browser technologies to extend the product further. This exciting shift in the Architecture will future proof the success for both STRUMIS and the customer base as new and fresh ideas can be incorporated quicker and more efficiently. Dragon Steel says the benefits they saw once STRUMIS was implemented, were immediate when it comes to saving time and the efficiency in the materials and supplies procurement stages. Ervin shares that, “It takes a fraction of the time to find, coordinate, order and track materials than it used to, saving us a lot of time and this translates into saving costs.” Dragon Steel feel that the flexibility of the software and the software module are also amongst its most appealing aspects, in addition to its integration with Tekla, which means they no longer need to enter any data manually. Ervin added, “…the inventory tracking & efficient nesting has eliminated additional waste and afforded us the ability to easily use inventory no longer needed on one project, on another project, while keeping complete traceability.” When it comes to the STRUMIS Estimating module, you get a module, which is ready to use and designed specifically to meet the needs of the estimators. For Dragon Steel, the Estimating module enabled them to estimate accurately for projects and successfully win bids. One of the many benefits of STRUMIS is that it uniquely has an integrated 3D modeling communication tool that enables one to visually track, enquire and communicate with all parties of the project lifecycle. This is very helpful to Dragon Steel as it allows their crew to visualize some of the more complex connections or fittings, ensuring correct assembly. Ervin comments, “[as] BIMReview is included with STRUMIS we don’t need […] extra trips back and forth from the shop to the office to view complex connections.” This in turn saves Dragon Steel so much time! How is the Fabrication industry in Australia/New Zealand going to make ends meet going forward? The current trend in the Australia/New Zealand market is leaning toward investment in technology. While it is most likely not a region specific problem, high labour costs are a constant stumbling block for Australian/New Zealand fabricators in a market that is already struggling to compete with imported steelwork from low cost centres. Imports are slowly killing the Australian Steel industry and more and more of our home grown steel producers are closing down. It is fantastic to see the willingness and tenacity of fabricators to adapt to new technology to try to combat high labour costs and supply issues. Technologies being adopted start with 3D laser scanning through to detailing systems and on to Fabrication Management Systems, such as our own STRUMIS. Ultimately we are seeing the adoption of automated fabrication machinery including beamlines and even automated welding. Steel fabricators in the region may be facing the most difficult uphill battle our region has ever dealt with but they are doing it with their heads held high and a ‘never say die’ attitude. Every avenue is being explored and every effort is being made to stay afloat. Rail Europe’s new facility, also included a new 1,400-tonne factory for Nissan at Washington, a 2,300-tonne project at the Victoria Gate shopping centre in Leeds, the 500-tonne Sports Village in Middlesbrough and a 300-tonne frame for the £38m National Biologics Centre in Darlington. Finley Structures also completed a 500-tonne project for Teesside University and a 620-tonne contract for the University of Sheffield’s Advanced Manufacturing and Research Centre (AMRC) to round-up a busy year. 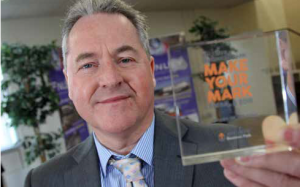 “I’m delighted for Finley Structures as a local family firm which has achieved a lot not only in the last year but over several years,” said Clair Foster. In this modern world where distance is no longer a problem with regards to project collaboration, the best talent can be drawn from all over the world and this can be essential to having a truly successful project. However although the distance issue has been addressed sometimes communication can still be our downfall. BIMReview with its BIMShare functionality overcomes some of the new problems encountered by this modern approach to construction projects. Big projects mean big files and these are frequently troublesome, emails won’t allow you to send overly large files and some file sharing sites are not secure enough for certain projects. BIMShare takes the stress out of sending large files by enabling a central repository where smaller portions of the model are synced only when necessary. Emails and most messaging systems can easily be missed, causing delays and potentially even worse. BIMShare provides alerts and prompts to bring light to changes in the model or its surrounding date. Always ensuring that the data being worked with is the most recent model/drawings. BIMReview provides an environment where roles from all aspects of the project can have some involvement in the project. This provides a workspace where communication is simple, data can be exchanged and points of interest can be highlighted.